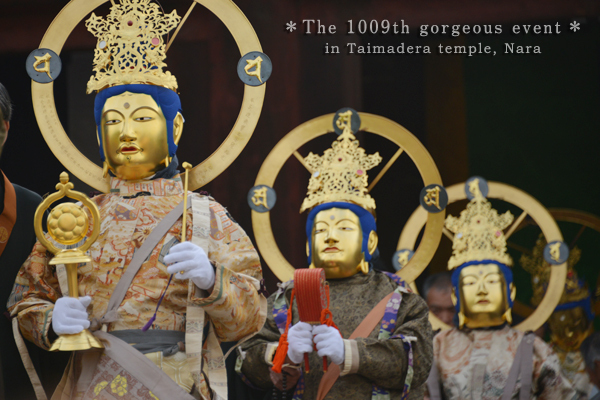 The 1009th event was held this year. This is an event to recreate the scene when Princess Chujo attained buddhahood. who came back to this life, to paradise. Taken is Shoju raigo nerikuyo eshiki at Taima-dera Temple.